On 11th July 1996, 21 landless peasants from among the dalits and minorities were brutally massacred in Bhojpur by the Ranveer Sena. After a long battle to ensure justice, a Sessions court in Ara, Bihar had convicted 23 people of perpetrating this gruesome massacre in May 2010. While three persons were awarded capital punishment, the remaining twenty were handed life imprisonment. And now, the Patna High Court has shockingly acquitted ALL the 23 people accused in the Bathani Tola case, one of the worst ever dalit massacres in the history of India. A Division Bench of judges Navneeti Prasad Singh and Ashwani Kumar Singh cited “defective evidence” to acquit all of them. It is a well-known fact that the Bathani Tola massacre, like the one at Laxmanpur Bathe, was orchestrated by the Ranveer Sena – such massacres were politically masterminded to quell the growing social and political assertion of the poor and the underprivileged under the leadership of the revolutionary Left in Bihar. And, instead of ensuring justice in such cases of brutal feudal violence, Nitish’s Kumar’s government is hell bent on protecting and providing immunity to feudal forces in the state. Almost as soon as the Nitish government came to power, it disbanded the Amir Das commission, which pointed out the strong links between the powers-that-be (including JD(U), BJP, Congress as well as RJD) and feudal powers like the Ranveer Sena. The RJD regime had avoided bringing Brahmeshwar Singh to book, and had tacitly supported the Ranveer Sena against the CPI(ML). Not surprisingly, in Nitish’s regime of so-called “good governance”, Ranveer Sena head Brahmeshwar Singh was released because the government failed to oppose his bail plea, and now the perpetrators of Bathani Tola have been given a clean chit! And now Nitish’s regime is presiding over the open exoneration of such forces of feudal barbarism in Lakshmanpur Bathe and Bathnitola. On 11th July 1996, killers of Ranvir Sena brutally massacred 21 people including 12 women and 8 children in cold blood. The abdomen of a pregnant woman was slit open. A little infant’s tongue was cut off before the tiny tot’s head was chopped off with a sword, another little baby’s fingers were severed from his hand. A new born baby cringing in its mother’s lap was butchered with a sword and their hut set ablaze. A girl in the prime of her youth was raped and her breasts chopped off before she was put to death. Among those injured, two little children lost their fight for life. In many ways, the Bathani Tola massacre provided the template, in its barbarity and ferocity, for the Gujarat genocide of 2002. Bathani Tola, and other similar massacres were orchestrated with the clear aim to punish those who ‘dared’ to raise their voices against oppression and exploitation – most of those killed were supporters and sympathizers of CPI(ML) Liberation, and were actively involved in struggles to break the stranglehold of feudal forces in Bihar. The Ranvir Sena was formed in the early 1990s with the declared objective of protecting the crumbling edifice of feudalism from the fury of the revolutionary movement of poor peasants of Bhojpur. They challenged with all their might: “We will not allow Bhojpur to be turned into Russia or China; with our guns we will remove all signs of red flag not only from Bhojpur but from the entire country, we will re-establish the social system of our ancestors and revive the old customs and laws“. Right from its inception, Ranveer Sena put to death hundreds of innocent people in the Sahar and Sandesh blocks of Bhojpur alone, majority of whom are from the dalit, most backward and Muslim communities. Several times, Ranveer Sena has openly targeted ML activists, who have been threatened and murdered. In the beginning, the leadership of the Sena was with the Congress, later they switched over to BJP, and with this, the minority community became their specific target. In the village panchayat elections of 1978, Mohammed Yunus, defeated the then mukhiya Kesho Singh and took his place. The upper caste feudal psyche could not bear this defeat. They started taking revenge against the Muslims. First, they captured the road in front of the Imambara and then took over the Imambara itself. A case was lodged with the regional administrator on 13 August 1991, who gave the charge for investigation to one of his subordinates. Though the report confirmed the encroachment, the administration did not take any decisive step against this. In 1992-93, the landlords destroyed the Imambara and burnt the flags after tearing them to pieces. An F.I.R. was lodged in the local police station and a case was filed. 13 days after the Bathani Tola massacre, on 23rd July 1996, this case was decided in the court. The judgement says that there is no proof of any Imambara being there. In the same way, the Kabristan land was also occupied. Mohammed Nayeemuddin filed a case against 14 people in 1993 and demanded that a boundary be constructed around the Kabristan. Due to shortage of money the case could not be fought till the end and was dismissed. But the encroachment continued as before. The Ranvir Sena people had captured the Kabristan and Karbala land in Kanpahri (Sahar) and Navadih (Tarari). On 10 Jan 1996, Karbala Mukti Jan Jagran March was organised to protest occupation of this land. The Ranvir Sena men attacked the people who were coming from a meeting at Kanpahri. But their attack was resisted. The tension increased, yet the government did not make any effort to free the occupied land. Though Laloo Yadav declared that all burial land would be protected, nothing was done. 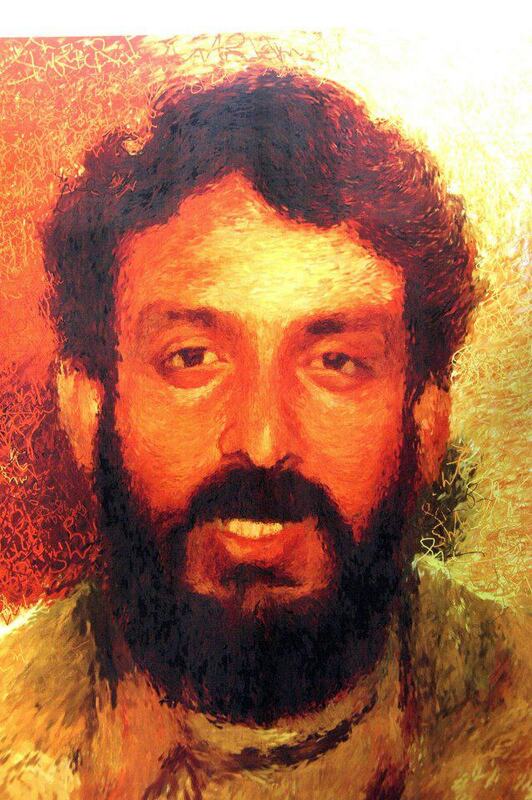 In the month of Ramzan, on 25 April 1996, Mohammed Sultan was killed and his body was not allowed to be buried in the Kabristan of Kharaon by the Ranvir Sena gang. Here also they were planning to murder several people but this was prevented after the body was taken to the adjoining village of Chatarpura and buried there. They still were not satisfied and attacked the Muslim tolas of village Kharaon and also other houses of ML supporters and looted their belongings. 50 families became homeless out of which 18 families were Muslim. Many of these families settled in Bathani Tola including that of Mohammed Nayeemuddin. But since the Masjid was located in the Ranvir Sena area they could not go for their Id prayers out of fear. Still the tension did not subside. Now Bathani Tola had become a target and from the beginning of May to 11 July 1996, the Sena goondas made 7 attacks on this Tola. The police remained inactive each time but the villagers chased the goondas through their own might. On 11 July 1996, the Sena goons were successful and 5 members of Mohammed Nayeemuddin’s family were murdered and one infant died in hospital later. Mohammed Nayeemuddin and his wife were saved because they were not in the village at that time. Some say that the question of wages and land was behind the gruesome massacre but the reality is that this contradiction had been resolved one year back and there was no economic blockade in the village. The Shankar Sharan investigation team report also confirms this fact and the reality is that the struggle started only after this, so the propaganda that the massacre was a result of this contradiction is unfounded. Secondly, the manner in which the massacre took place points to an atmosphere of communal frenzy, hatred and vendetta; factually and logically, all indicators point to the communal character and backdrop of this massacre. The Bathani Tola massacre and the government response is a living example of how Bihar is being converted into the graveyard of democracy. In this game, all the forces of darkness and retrogression have united — the forces that constitute the mafia and feudal vested interests. In the present scenario of Bihar, where the JD(U)-NDA regime is politically linked to the upper-caste feudal gangs, there is no neutrality left in its investigative apparatus. No wonder, in case after case of dalit massacres perpetrated by the private feudal army of Ranveer Sena no justice is being delivered. It is urgent therefore that Supreme Court reopens and monitors all the cases related to massacres and violent crimes perpetrated by the Ranveer Sena in Bihar. The heinous crimes of the feudal communal forces like Ranveer Sena cannot be allowed to go unpunished due to the protection and collusion of a politically pliant regime. 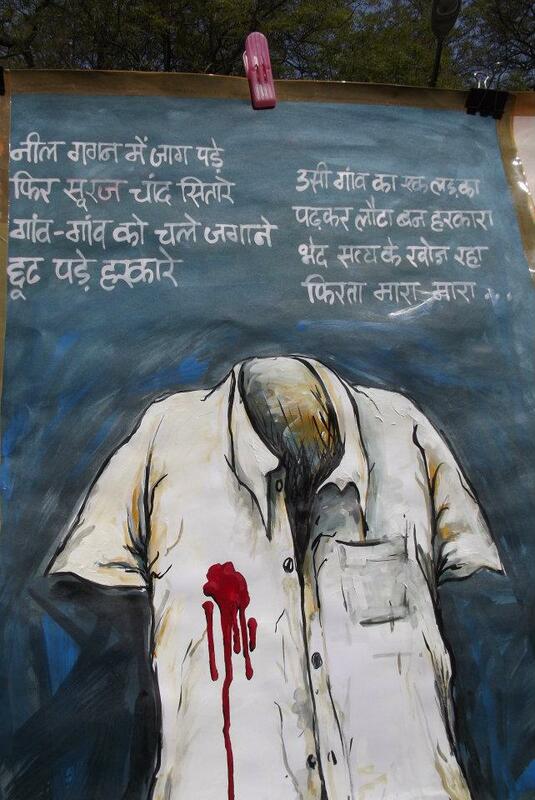 Atrocity Unabated: Fact-finding Report on Violence on Dalits in Noida, 14 March 2012. The past few days in Ramgarh Village, part of Dadri constituency of Gautam Buddha Nagar District in Greater Noida (NCR), witnessed brutal atrocities on a dalit colony by dominant Gujjars. 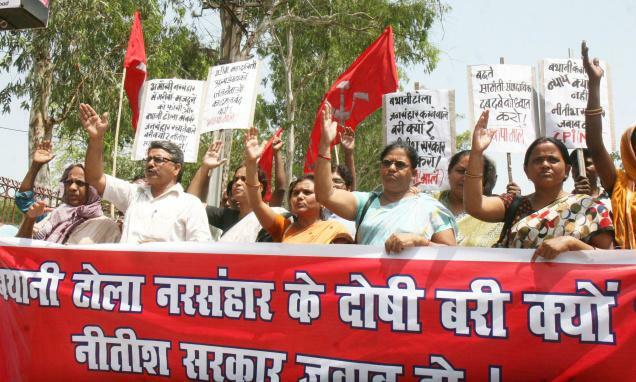 In the face of Dalit atrocities continuing unabated, a CPI(ML) fact-finding team including CPI(ML) In-charge of Gautam Buddh Nagar, Comrade Shyam Kishore; Noida City CPI(ML) leaders Comrades Chandrabhan Singh and Shivji Singh; AISA National President Sandeep Singh, JNUSU General Secretary Ravi Prakash, RYA leader Aslam Khan; and AISA activists Anmol and Harsh from DU went there to analyse the ground realities on 27 March 2012. On 14 March, 2012, approximately 20-25 men and women headed by the village pradhan, Kuldeep Bhati, walked throughout the village and battered the vulnerable dalit villagers with pistols, iron pipes and rods, axes and lathis, accompanied by death threats and filthy verbal abuses. The victims including women, children, men and aged belong to the Jatav community. Many of them who were injured had to be hospitalised. Satpal (in his early thirties), a construction worker, was on the way back home when goons attacked him with iron rods and axe. Severely injured in the process, Satpal was kept in the ICU for few days, where he was diagnosed with a broken skull, fractured leg and blood deficiency. Though he has been discharged from the hospital, he is bed-ridden, hardly speaks and is likely to take almost a year to recover. Likewise, Shakuntala, Satpal’s mother, was hit by iron rods on her stomach. 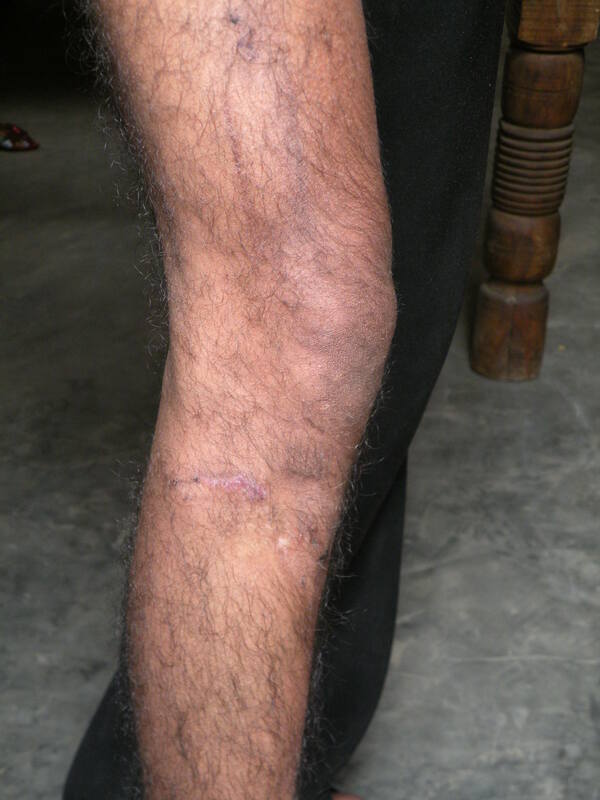 The fact-finding team was told that her kneecap was broken and had a broken limb. 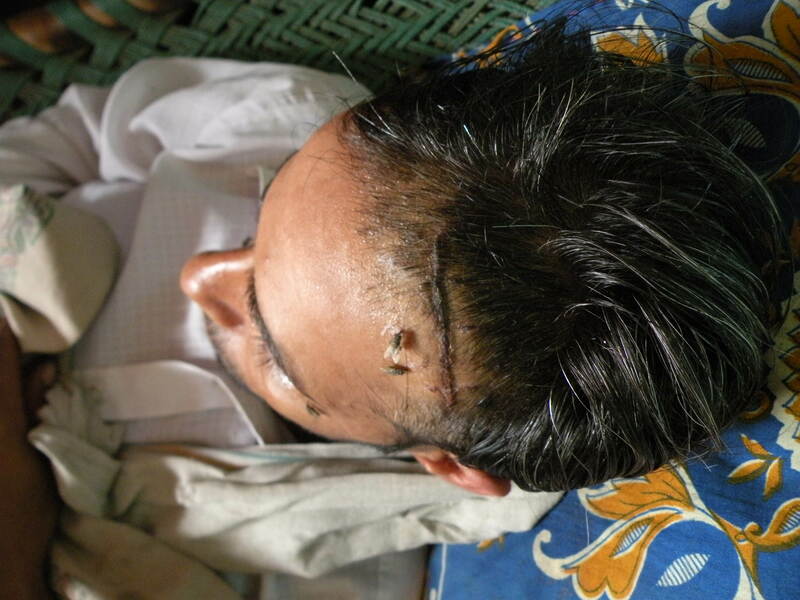 Pirkashi, a 50-year-old woman has incurred stitches on her head and a plaster on her left hand along with a rod. Rohit (17 years), Parkashi’s son, was beaten up by pradhan Kuldeep Bhati’s goons while he was on the way back home. He could not sit for his matriculation examination, as he has been advised complete bed rest by the doctors. Rohit’s brother, Niraj (24 years) was axed on the head. Fakira, an elderly person of 80 years, was also ruthlessly beaten up by iron rods. His neighbour, Mangtey, a landless labourer, was also callously thrashed, leaving him with a fractured hand, while he was on the way to his workplace. Stitches on his head were clearly visible. Furthermore, vulnerable women, who are always soft and easy targets in every act of violence and suppression, also bore the brunt in this episode. Several women including Sushila (40 –45 years), Jagmiri (around 45 years), Usha (35 – 36 years), Babita (38 years), Babli (18 years), Bobby (19 years) have given an account of their being beaten up by men from the dominant community, and subjected to verbal sexual abuse. Some have ended up with stitches on their head, some with a fractured hand or leg and some with injured back or stomach. All this occurred in broad daylight within an hour between 1:00 and 2:00 PM on 14 March 2012. Tension still prevails in the area and the district administration has deployed additional police forces to ‘contain the situation’. Nevertheless, the dalit residents very well recognise the fact that in the guise of ‘containing the situation’, the police is keeping an eagle’s eye on them so that they do not rise up in protest against the culprits. It should be noted that in this village, there has been a history of poor villagers of the Valmiki community having been evicted from their lands by powerful people, and forced to leave the village. In the recent unfolding of events in Ramgarh village, a land dispute has surfaced wherein the powerful people in village had forcibly acquired the dalit lands and built illegal constructions on them. The Ramgarh residents told the fact-finding team that the they have sold out the forcibly acquired dalit land in Ramgarh to an outsider named Firay. 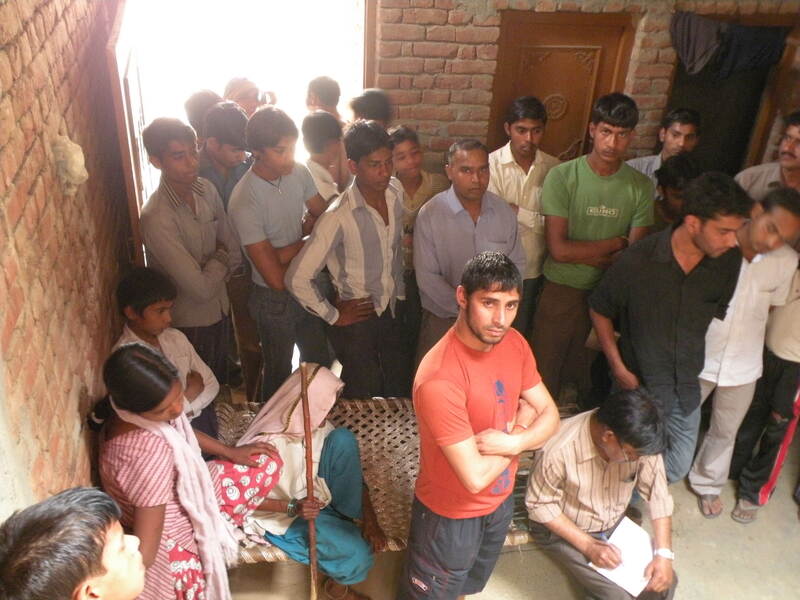 Moreover, Kuldeep Bhati, the village pradhan, has sealed the Dalit colony from all sides. The Patwari is paid a regular bribe by Kuldeep Bhati from the villagers’ pockets (Rs. 400/- per head). Brahm Jatav, a member of the oppressed dalit community, pointed out that having all papers relating to the disputed land (measuring around 4.75 bigha; market rate worth 3.5 – 4 crores rupees), he made an application to the SDM on 24 January 2012 to take proper action as soon as possible in the same context. As expected, villagers were threatened to withdraw their application. Thereafter, Brahm filed an FIR at Dadri Thana against the attackers on 1 February 2012. He was shot at for notifying the problem to the authorities, but was saved by a fellow villager. The state of affairs worsened post assembly elections. In Dadri constituency, Satveer Gujjar of Bahujan Samaj Party (BSP) of Mayawati won the assembly election. 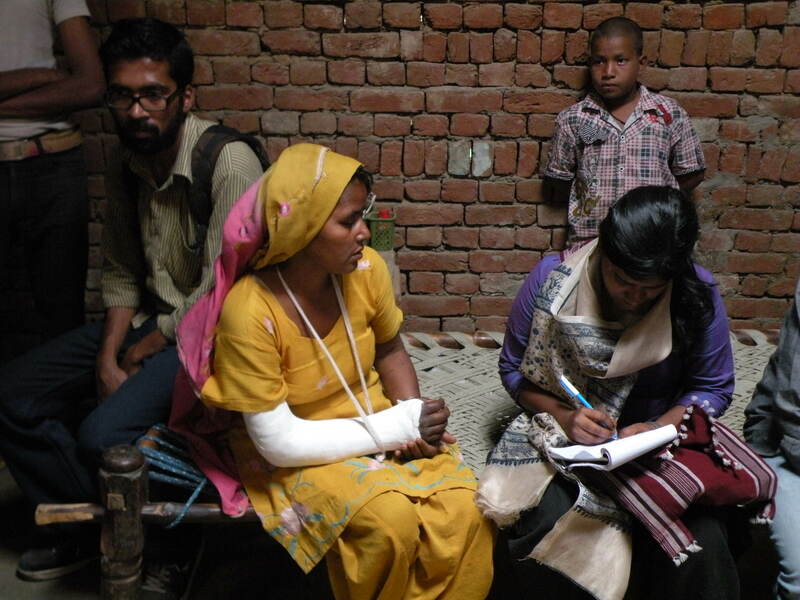 The Ramgarh residents reported that while they were being beaten up, their perpetrators repeatedly spoke about the former’s helplessness due to the Samajwadi Party (SP) toppling the BSP in these elections. At a superficial level, it might appear that the SP supporters attacked the Jatavs for not voting the SP candidate. However, a closer look would have us believe that poor and vulnerable dalit communities are being persistently beleaguered by the dominant people on the subject of land all over Uttar Pradesh. For instance, a similar trajectory of illegal acquisition of dalit land can be seen in Bironda, not very far from Ramgarh village. The centrality of the land question is inevitable in context of the escalating real estate business in the NCR regions of Delhi. In the process, the poor and dalit lands and villages are being relentlessly and rapidly engulfed by the large corporate houses like the Ansals and Jaypee and earmarked for making expensive and lavish housing-societies and malls. This real estate market has paved way for the creation of a strong nexus between the dominant ruling elites, their representatives at the grass root level and the big business houses. With the market rates of land skyrocketing, the lands in the NCR regions of Noida and Gurgaon have become much coveted. This has resulted in frequent assaults on the vulnerable sections of Dalit and the poor, and forcible land acquisitions in UP and countrywide. These kinds of assaults have further intensified because there is assertion on the part of dalits in the wake of heightened expectations of doing away with all forms of feudal oppression, especially resolving land disputes through proper land reforms. Fifteen years ago, on 31 March 1997, Com. Chandrashekhar was gunned down in broad daylight while addressing a street-corner meeting at JP Chowk, Siwan. The notorious fodder scam had already come to light and the people of Bihar were out on the streets challenging Laloo Prasad’s reign of scams and massacres. Chandrashekhar, who had just returned to his hometown, Siwan, after two successive terms as president of the JNU students’ union, and Shyamnarain Yadav, a local student leader and CPI (ML) activist of Siwan, were calling upon the people of Bihar to intensify the movement against criminalisation of politics and observe Bihar Bandh on April 2. This was too much for the local mafia don-turned-MP – Mohd. Shahabuddin, to stomach and Chandrashekhar and Shyamnarain had to lay down their lives for defying and confronting his reign of terror. 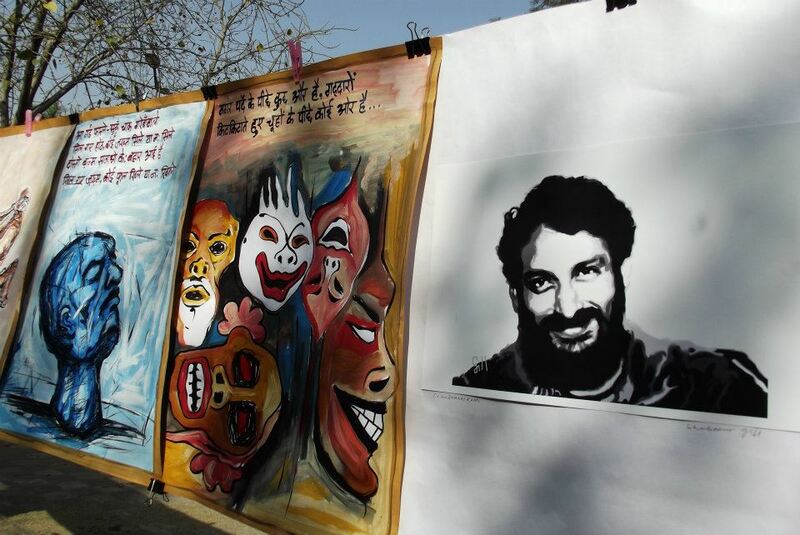 Marking the 15th Anniversary of the killing of former JNUSU President Chandrashekhar, a Protest Sit-in at Jantar Mantar was organised by All India Students’ Association (AISA) at Jantar Mantar on 31 March 2012. The place reverberated with slogans in protest against the recent verdict of a Patna court, which convicted three of the hit men for the murder, but maintained a criminal silence on former RJD MP Mohd. Shahabuddin, at whose behest the murder took place. The Sit-in congregation took a firm resolve to continue the struggle that commenced immediately after com. Chandrashekhar’s demise, for demanding severest punishment for the political conspirator and mastermind behind murder of Com. Chandrashekhar and to carry forward the fight against neoliberal assaults. The gathering included hundreds of students from JNU, Jamia Millia Islamia and Delhi University, along with teachers, intellectuals, writers, and cultural and social activists. At the outset, Ravi Rai, national general secretary of AISA, welcomed the gathering and called the speakers for the day to the stage. The speakers included Kavita Krishnan, former JNUSU Joint-Secretary and Central Committee member, CPI(ML); CPI(ML) General Secretary Comrade Dipankar Bhattacharya; Prof. KJ Mukherji of JNU. Others who addressed the protest meeting included Prof. Tripta Wahi, Kavita Srivastava of PUCL, social activist Himanshu Kumar, and Anand Pradhan from Indian Institute of Mass Communications. The event was also attended by many of Chandrashekhar’s old comrades and other activists including JNUSU President Sucheta De, general secretary Ravi Prakash and Joint Secretary Firoz Ahmad, CPI(ML) Central Committee member Prabhat Kumar, Delhi State Secretary of CPI(ML) Sanjay Sharma, Sudhir Suman and Bhasha Singh of Jan Sanskriti Manch. Kavita Krishnan recalled how an unprecedented student movement led by the students of JNU rocked the national capital for over a month following Com. Chandrashekhar’s death and compelled the then I.K. Gujral Government to initiate a CBI enquiry. Blaming the CBI for blindfolding itself to the conspiracy behind Chandu’s murder due to political compulsions, she stressed that the movement would continue until Shahabuddin is charge-sheeted in this case, convicted and given the severest punishment and nothing less is acceptable in the name of justice. She was also severely critical of Mahesh Bhatt’s (who has been contemplating on making a film on com. Chandrashekhar) view on the verdict – “…finally, justice has come to Chandrashekhar… Now, finally, there is some sense of closure to this horrible tragedy, even if it came after 15 years”. Considering the storyline of Mahesh Bhatt’s film, she remarked there is no substance to the film, as it takes no account of the political movements led by Chandrashekhar and their underlying ideological standpoint. She also spoke of how from Chandrashekhar’s assassination to that of com. Bhaiyya Ram Yadav there has been no respite for the common people in Bihar. Till date there has been no exemplary action against the rampant criminal-politician-police-administration nexus. Commending all progressive sections that have hitherto carried forward and upheld com. Chandrashekhar’s legacy, she concluded that the real memorial of this movement is its role in shattering Shahabuddin’s hegemony over criminalized politics in Bihar and hereafter this fight for justice has to be started afresh, with renewed energy. In his speech, com. Dipankar Bhattacharya alleged that the CBI enquiry was ordered as a consequence to the demand raised by the powerful student movement that followed the murder, precisely because the CBI was expected to nail the powerful political conspirators behind this assassination. But the CBI has deliberately evaded the recognition of Chandrashekhar’s killing as a political assassination. This silence points to a political motive on its part, to protect the criminal politician Shahabuddin who is known to have been a right-hand man of the RJD chief Laloo Prasad Yadav. Drawing parallels with Sardar Hashmi’s assassination, Com. Dipankar Bhattacharya said that Chandrashekhar was snuffed out since he strove to transform the corrupt system of Bihar. He further pressed the need for a strong student-youth movement against corruption and corporate loot based on the ideals of Chandrashekhar and Bhagat Singh. Emphasising the importance of Chandrashekhar’s revolutionary politics against the corrupt trajectory of RJD – Shahabuddin nexus, Anand Pradhan pointed to the worth of Chandrashekhar’s movement against feudal elements and criminalisation in Bihar. Musing over Chandrashekhar’s visit during the BHU students’ union election campaign in February 1997 and the disruption of students’ union election thereafter, he spoke of the underlying motive of the State behind the imposition of the undeclared emergency that prevails even today in university campuses in the country. In this context, he also referred to the deliberate ploy of the ruling establishment to foster depoliticisation among students in the country. Furthermore, he pressed for the need for radical revolutionary organisations like AISA to take the centre stage in transforming society. Prof. KJ Mukherji recalled how the goons supporting the ruling RJD Government of Bihar had fired on students protesting at Bihar Niwas during the agitation against Chandrashekhar’s assassination. This was not only a murder, but also an attempt to kill a dream of revolutionising the system and must be seen in the context of goonda raj and criminalisation of politics prevalent in Bihar. He also said that in spite of all the repression and threats, the spirit of the democratic movement would continue for which com. Chandrashekhar stood for in his lifetime – against neoliberalism, corruption and privatisation. While discussing the constant neoliberal assaults and assertion of feudal elements, Prof. Tripta Wahi pointed out that the state and the ruling elites’ agenda is very different from that of the masses. She spoke of how the attack of liberalization-privatization-globalization is growing even stronger. The ruling establishment wishes to suppress the dreams and aspirations of young people so that there can be no space to struggle. The challenge is to keep alive the spirit of struggle even in these dark times, for without the revolutionary spirit there can be no change in society. Citing Delhi University’s example wherein the teaching and student community is restricted to hold meetings on several vital questions, Prof. Wahi stressed the intrusion of neoliberal agenda in Indian academic circles. Therefore, a mammoth task transforming the society, by giving a fitting reply to these exploiting classes, lies in front of all progressive and radical sections in the present scenario. The event also witnessed a multitude of cultural performances by different groups. Cultural teams of students of Jamia Millia and DU, and Asmita presented an array of rousing songs. Several poets including Anamika, Manglesh Dabral, Madan Kashyap, Sanjay Kundan, Mukul Saral, Shobha Singh and the revolutionary poet, Ramshankar Vidrohi, read out poems in Chandrashekhar’s memory. 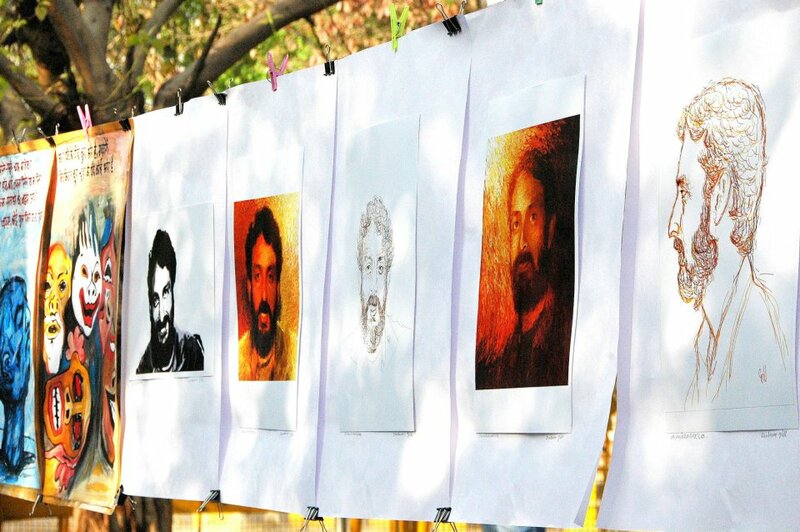 Lokesh Jain’s team presented an emotive ‘marsiya’ dedicated to Chandrashekhar. 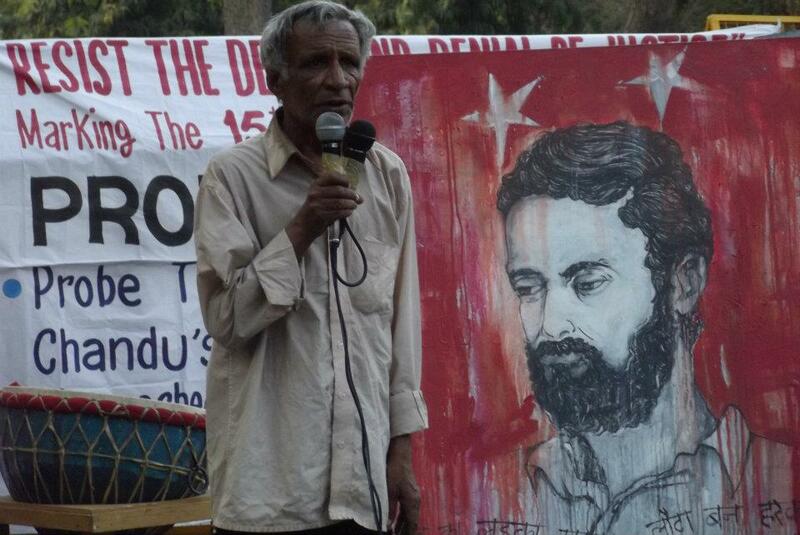 On 15th Martyrdom Day of Comrade Chandrashekhar, professors, activists, friends of Chandrashekhar, students from Jamia Millia Islamia, Delhi University and Jawaharlal Nehru University, gathered at Jantar Mantar on 31st March, demanding Punishment for criminal politician, former RJD MP MOHD. SHAHABUDDIN –Main conspirator in former JNUSU PRESIDENT COMRADE CHANDRASHEKHAR’S MURDER!! Ensuring social justice in institutes of higher education and democratizing their admission systems have been two of the major goals for which AISA has striven ever since its formation. It was in light of this democratic and inclusive vision of higher education that the AISA-led JNUSU championed the struggles for reinstating deprivation points and recognition of Madarsa certificates in JNU, and for ensuring the proper implementation of OBC reservation in all higher education institutes of the country. In an overwhelming endorsement and recognition of our struggles and issues, students of JNU reposed immense faith in the organization by giving it a resounding mandate in the JNUSU elections held after a gap of four years on March 1, 2012. The AISA-led JNUSU once again demonstrated its utmost commitment to the aforementioned goals by launching a decisive movement in the very first fortnight of its being elected to office on several crucial issues central to democratizing academics and strengthening JNU’s socially inclusive character. The most urgent among these demands was reduction in the weightage for viva-voce in JNU’s admission system from 30 to a maximum of 10-15, as per the Supreme Court verdict of 1980 given by a five-judge Constitution Bench. Despite this, the weightage of viva marks in JNU continued to be 30% creating the space for subjective biases of various kinds and resulting in several deserving students being denied admission. Recognizing the ample space created for manipulation owing to high weightage for viva-voce, AISA had raised this issue way back in 2009-2010, while fighting the struggle for ensuring proper implementation of OBC reservation in JNU. In the petition filed by one of AISA’s activists against JNU’s faulty model of OBC reservation in 2010, one of the issues raised was the high weightage for viva marks in JNU’s entrance system. While the High Court, focusing on central issue of the petition, did not address this concern at the time, immediately after the historic Supreme Court verdict of 18 August 2012 that upheld the correct cut-off criterion, AISA called for a public meeting on 29 August 2012 with JNU faculty and Shri P. S. Krishnan to discuss the further challenges ‘in ensuring social justice in Higher Education’, where the focus was on issue of discrimination in viva-voce marking. In fact, two days prior to the meeting, just a day after the written and viva marks were posted online by the JNU administration, AISA also brought out a parcha (dated: 7 August 2012) based on an immediate analysis of the results that revealed how students belonging to deprived castes were being awarded extremely low marks in the viva despite scoring well in the written exam. Since then, AISA consistently made ‘reduction of viva-voce weightage’ one of its central demands and raised it in all appropriate forums. During the first Academic Council meeting held after the new Vice Chancellor assumed office (21 October 2011), a massive protest demonstration was called where ‘reduction of viva-voce weightage’ was raised as one of the central demands along with the demand for extending recognition to more madarsas and ensuring proper implementation of SC/ST and OBC reservations in Faculty Positions. The note prepared for the JNU faculty prior to the AC meeting carried a detailed discussion of the issue including the reference to the 1980 Supreme Court verdict. The pressure generated by the protesting students forced the Academic Council meeting to decide that this issue would be discussed at various appropriate platforms including the Standing Committee so that a positive decision could be taken before the next academic session. However, when after a month, no action to this effect was taken by the administration; a letter was again sent by the AISA president to the Vice Chancellor, presenting a brief synopsis of the entrance result data posted online by the JNU administration providing support to the claims of discrimination and urging for an immediate action. 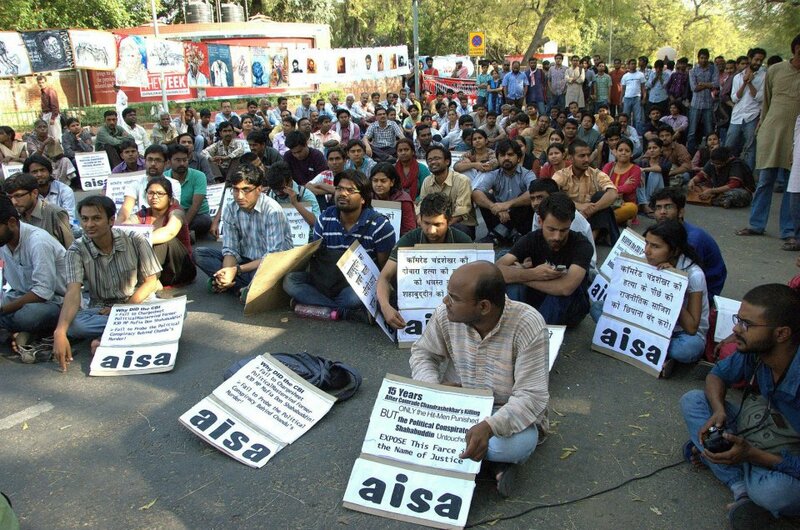 As the administration lived up to its legacy of inaction whenever demands pertaining to democratization and social justice have been raised, AISA organised another public meeting on 2 February 2012, to mobilize and unite the students and faculty on this demand. Finally, when AISA was voted back to the JNUSU office, the AISA-led JNUSU immediately set out to collect the entrance result data of past three years and undertake a detail statistical analysis of the same. The analysis led to certain startling revelations. While the primary analysis of the data had provided evidence for discrimination, the detailed analysis revealed the unfortunate extent of it. It was seen how the casteist JNU administration was using the viva-voce as a tool to ensure that the non-reserved category was converted into a reserved category for general students. Students belonging to SC/ST and OBC categories were consistently being awarded marks as low as 0-5 to ensure that they either fail to gain admission, or get selected only in the reserved category. Realising that the students had seen through their designs, the administration first refused to incorporate this demand in the agenda of the AC meeting to be held on 19 March 2012. 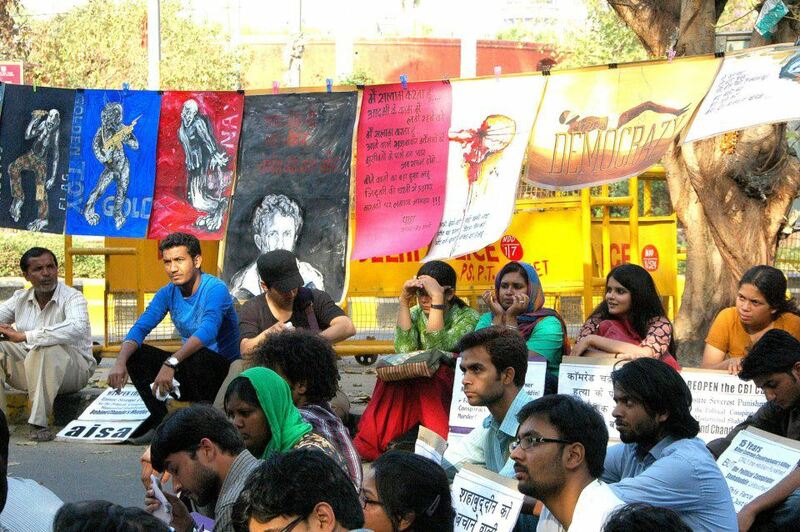 Armed by strong research evidence, JNUSU called for an indefinite hunger strike from 14 March 2012, which was met with an unprecedented response from the students. For the first time in history of JNU, 33 students sat on an indefinite hunger strike supported by hundreds of others who sat for relay. On the day of the AC meeting on 19 March 2012, hundreds of students gathered outside the venue of the AC meeting responding to the protest called by the JNUSU. The enthusiastic and determined protest outside by the students and the logical arguments provided by the JNUSU office bearers inside the meeting, finally forced the administration to set up a committee which would look into the reduction of viva-voce weightage. Further, this committee which will have representations from JNUSU and JNUTA will prepare its recommendations in two months and inputs from centres and schools will be sought. This is a significant step ahead in the present movement and in order to ensure that this step is transformed into complete victory, the AISA led JNUSU will keep up the mobilisation and struggle in the days to come through multiple forums to make the campus more socially inclusive and democratise its academics. (Presented below is the note in PDF file prepared by the AISA led JNUSU which was shared in the AC meeting). 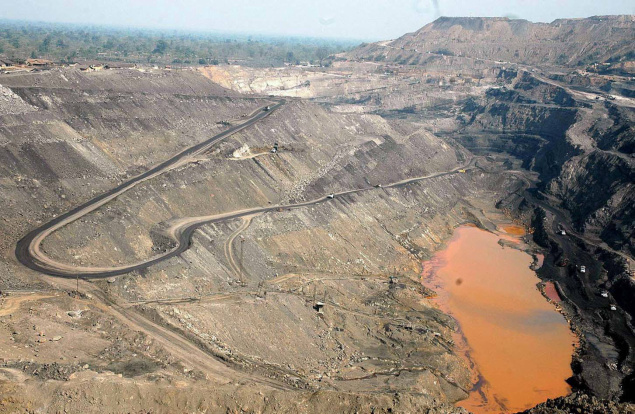 From 2G to the recent coal scam, the CAG has pointed out the same underlying problem – loss to the public exchequer due to a policy of handing over precious natural resources on a “first-come-first-serve” basis rather than being auctioned. Whether it is the 1.76 lakh crore (2G) or Rs 10.7 lakh crore in the coal scam, the CAG has pointed out absence of transparent auctions as the reason for massive losses. The issue however is much deeper. The larger question is, can we arrest all “losses to the state exchequer” merely by auctioning off resources to the highest bidder? Can it be in the national interest to let private players use up and indiscriminately exhaust these precious resources as per their whims and fancies merely for private profits, robbing future generations of Indian people of these resources? Even if a resource like coal were to be auctioned off to a company, the state receives a one-time payment or some miniscule royalty, which is a pittance of the total profit that it finally makes from mining. In the past few years, we have seen the oil and natural gas-rich Krishna Godavari (KG) basin been handed over to Reliance for private profiteering. A previous CAG report has exposed how a dubious “production sharing contract” was signed between the government and private petroleum operators, data on Reliance’s capital expenditure was deliberately fudged and inflated, private operators were allowed to sell oil at much higher rates than ONGC. Niira Radia tapes have also told us how the UPA and the “opposition” NDA happily colluded on the floor of the Parliament to award millions of rupees to Reliance as “retrospective” tax exemptions! herefore, the issue is NOT merely one of reverting to the “correct” policy of auctioning natural resources. Post-independence, coal was recognised as a “national asset” which the state should manage, keeping in mind the interests of the “community”. Coal was thus nationalised – a process that began in 1971 and was completed in 1973. Soon afterwards however, the real project of “nationalisation” began to unravel. As early as 1976, a clause was introduced in the Coal Nationalisation Act to allow coal blocks to be allotted to private iron and steel (and in some limited cases, to private power companies too) for their captive consumption. The ongoing process of privatising coal mining proceeded with great speed in the 1990s – the Coal Nationalisation Act was amended in 1993 to allow allotment of captive coal mining blocks to private power companies. Coal prices were deregulated by the Ministry of Coal, and in 1996, the MoC issued yet another notification allowing cement companies to acquire captive coal mining blocks. And as the CAG report now exposes, between 2004-2009, coal mining blocks were handed out on a platter at a pittance to private companies who mine coal as and when they can make the most profits. 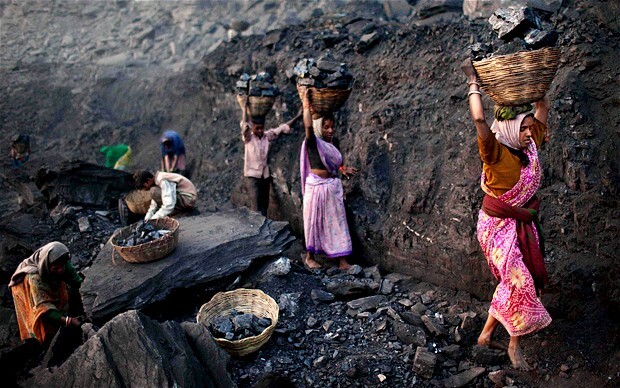 When the issue of allotting coal blocks at ridiculously low rates became too difficult for the UPA to handle, they finally introduced the new MMDR Act 2011, which recommends auctioning of coal blocks. Besides this hyper-active neo-liberal policy shift favouring corporate profits, we are also witnessing how the state machinery sits back and watches rampant violations and open loot of mineral resources by the politician-mafia nexus – from Bellary in Karnataka, to the coal belt in Chhattisgarh and MP, to mineral-rich areas in Odisha and Jharkhand. Also, this time around the PMO cannot even pretend (as it tried to do in the 2G scam) not to be involved. After all, coal ministry was directly under Prime Minister Manmohan Singh for long stretches during 2004-2009 when these dubious allocation of coal blocks took place and therefore complicit in this loss of resources. Several of the companies named in the draft CAG report that is causing such a furore are based in BJP-ruled Chhattisgarh. It is clear that after all the public sound and fury, the so-called “opposition” BJP will also willingly participate in a carefully orchestrated cover-up in order to hide the huge share they enjoy in this regime of corporate loot. So whether the so-called “opposition” NDA-BJP chooses to raise the issue or not, whether the CAG chooses to backtrack on its own draft estimates or not, the dubious nature of allocation of coal blocks and the obvious possibility of mega corruption involved in the process CANNOT be brushed under the carpet ANYMORE. In designing a mineral policy for the entire country, it is important to ask: will state policy be decided by corporate profits, or by the larger interests of the people? In the case of an important resource like coal, why should public sector companies have to engage in cut-throat competition with the likes of the Jindals and the Tatas? Why should private companies be allotted captive coal mining blocks? Why can’t they simply purchase all the coal they require from Coal India, instead of acquiring coal blocks and then using them as speculative capital to profit from? The use of natural resources as tools for corporate profiteering must be put an end to.